If you’re gearing up to buy a house, one of the most important things you can do to prepare is to check your credit score. That number is going to help determine how much interest you’ll pay on your mortgage – or whether you’ll qualify at all. By checking early, you’ll have more time to repair your score and save yourself money in the long run. While there is no hard and fast rule about what the minimum credit score is to qualify for a mortgage, higher is always better. As the market changes, so do minimum requirements for lenders. It also depends on the type of loan you are applying for. FHA loans, for example, have a minimum requirement of 580, while conventional loans backed by Freddie Mac or Fannie Mae require a score of at least 620. Take a good look at your credit report. If there are any mistakes or inaccuracies on it, you’ll need time to fix them. As many as 25% of consumers have errors on their reports – don’t be part of that statistic. If you do find a mistake file a claim on a credit bureau website. Keep copies of the documents you file. You should expect a response in one to two months. Late payments not only affect interest rates on credit cards, they can also lower your credit score. If you’re planning to buy a house, make sure you keep current on all your bills. 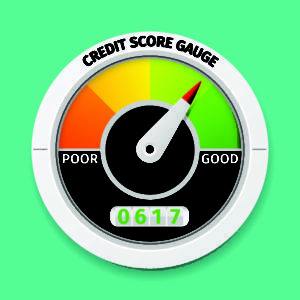 One of the best ways to improve your credit score is to keep your balance below 50% of your available credit. If possible, make more than the minimum payments on your debts over the coming months and work to pay down your balance. A history of only paying the minimum payment each month does not inspire confidence in lenders, so pay more than the minimum, even if it’s just a small amount. While experts disagree on this tactic, it’s probably a good idea to keep that paid off credit card open, at least until you secure your mortgage. Closing the account will affect the ratio of your existing balance and available credit. Just don’t be tempted to suddenly use all that available credit to make a big purchase. If you’re planning to buy a home, now is not the time to incur other debt. Do not take out a car loan or open any new credit cards. It’s also smart to wait on any big purchases on existing cards, like a vacation. Sudden big changes to your credit history can be potential red flags to lenders, so avoid them if at all possible. Before you even begin to look for a home in earnest, take time to get your financial life in order first. It can take time to remove inaccuracies from your report and repair a low credit score. When it finally comes time to buy a home, you’ll be glad you did.